Hello and welcome to our second look at F1 Circuits Past and Present, a new mini series from Sidepodcast. This set of seven short shows will examine a variety of F1 tracks, from those currently on the calendar, to those that have long since been out of favour. Today’s first episode takes a look at a long-standing circuit that left the fray in 2007. The relationship between Formula One and the United States is a well-documented ever-changing one, with more negative than positive events. The recent introduction of the Circuit of the Americas to the calendar has done a great job of mending a few bridges, but before F1 went racing in Texas, it was all about Indiana. The Indianapolis Motor Speedway was built in 1908, after US businessman Carl Fisher wanted to create a space for testing racing cars in the hopes of rivalling European standards. The oval track design was created to allow constant high speeds, to push cars to their limits, and to give a better view of the entire circuit for spectators. The first day of racing at the speedway was mired in safety concerns – two participants died after a car crashed into a fence, and the condition of the track meant stones were flying up in the air and the surface was dangerously slippery in places. The Automobile Association cancelled events on that first day, but swift overnight repairs meant the racing could go on for the second day, and ever since. The main oval hasn’t changed too much across the years, but one of the main developments was a repaving of the track to be in bricks. Work was completed in 1909, and the track gained the nickname The Brickyard. Although the red bricks have been lost due to higher speeds and improvements in asphalt over the years, there is still one yard of the original brickwork remaining to denote the start/finish line of the circuit. The length and style of racing has changed over the years but Indianapolis created a prestige for itself with long endurance events, and plenty of high speed records being broken along the way. IndyCar and NASCAR were main staples, with the Indy 500 and the Brickyard 400 two particular highlights. The in-field section of the track allowed Formula One to race at the speedway, and it arrived after a couple of years of redevelopment, for the 2000 season. Michael Schumacher won the first race at Indy, and would go on to dominate at the track, winning six of the eight events. Lewis Hamilton secured victory at the final F1 race held at Indy, but by then its future had already been written. The race had been controversial throughout its short tenure on the calendar. In 2002, Schumacher and Ferrari teammate Rubens Barrichello crossed the line just one hundredth of a second apart, as it appeared Schumacher was trying to stage a close finish. He’d already won the championship and perhaps wanted to put on a good show for the fans, but they weren’t impressed. The 2005 race is, sadly, what Indianapolis has become synonymous with in Formula One circles. The FIA had mandated that only one set of tyres could be used during a race in 2005, and the banking around the final corner, back on the original oval, was putting unnecessary strain on the worn rubber. One of the tyre suppliers, Michelin, opted for safety over spectacle and advised the teams not to run. Which they didn’t. Six cars took to the grid and six cars crossed the finish line, Michael Schumacher winning another US Grand Prix. Again, the fans were less than impressed. Refunds were demanded, official apologies made, and although Indy hosted the 2006 US Grand Prix as well, it was clear the event couldn’t recover from such bad feeling. The circuit certainly didn’t need Formula One to continue its long and industrious history, and it continues to develop to keep up with the changing times. The infield track was redesigned in anticipation of motorcycle racing, with MotoGP being confirmed for the 2008 season. In 2014, the IndyCar championship added a second race at Indy, utilising the road course and kicking off the famed Month of May. It’s disappointing that Indy couldn’t have a happier ending with Formula One, but both have moved on to new and perhaps better things. F1 has the shiny new Circuit of the Americas, whereas the Speedway is building on its heritage, expanding into further categories of racing. Anyone who is anyone wants to win the Indy 500, don’t they? 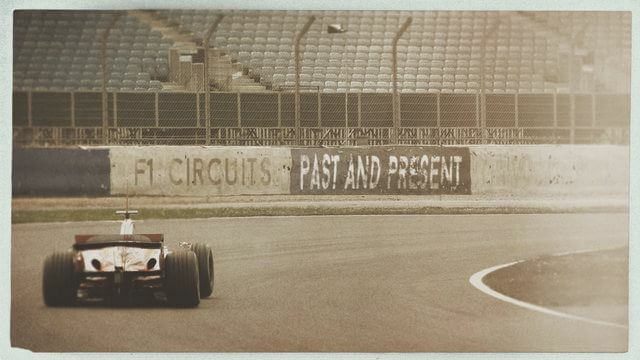 That’s all for this first episode of F1 Circuits Past and Present. If you’re curious about the 2005 US Grand Prix, it is the first episode of Days that Shook the F1 World, another mini series that looks at key events in F1’s turbulent history. Just search on Sidepodcast.com for more information, and join me back here tomorrow for our second episode. Previous post Formula One 2015 Season - Before it happens!